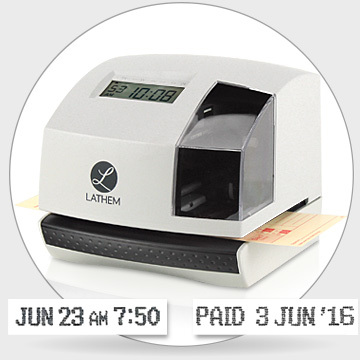 Designed to be a standard office punch clock, it can also be used as a document stamp at a dispatch desk. 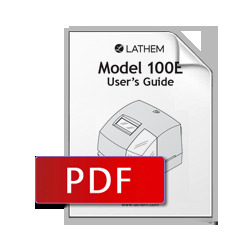 The 100e prints on any paper document, from a time card to copier paper to three part carbonless forms. Print two or four digit years, and time in standard hours and minutes, or military and 100th's. Crisp and clear print, every time. Re-order inexpensive ribbons in black, or purple. No resetting! 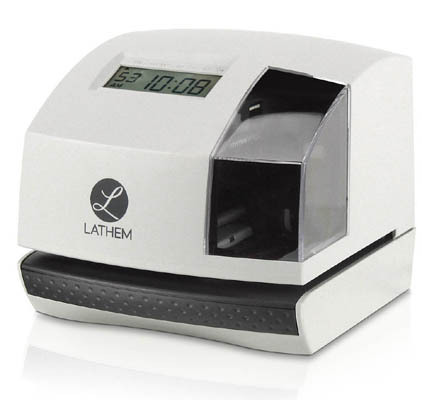 Automatially sets to the current time in the event of power outage. Resets for daylight savings - or turn it off if you are in Arizona. Maintains memory, and keeps time internally for five years, should you decide to put it in storage. Modern design: Appearance inspired by Formula One racing.